Eurodollar is still consolidating, but main trend remains bullish. Possibly, market may reach new maximum during the day. 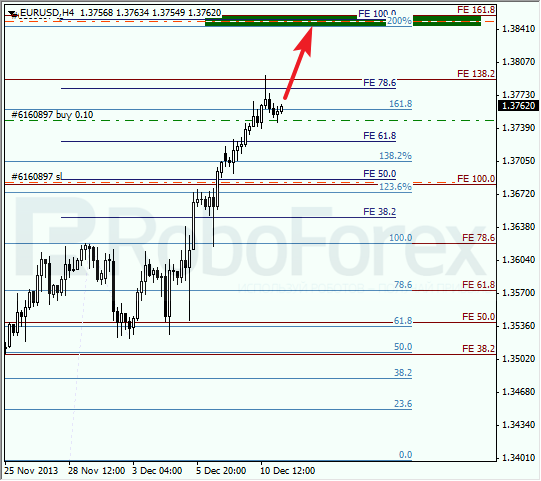 Main target for bulls is several fibo-levels in upper area, near level of 1.3850. 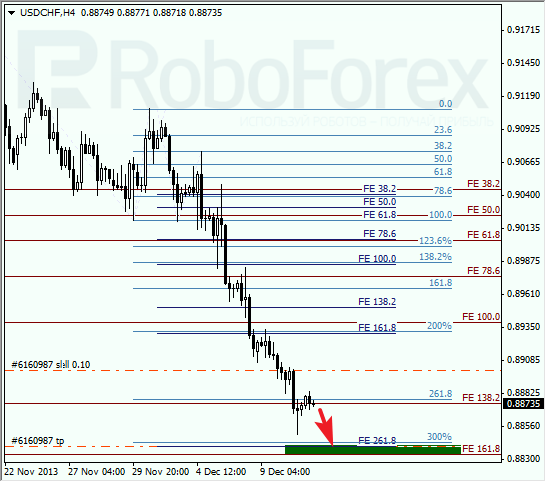 As we can see at H1 chart, price is being corrected. Probably, pair may reach upper levels inside closest temporary fibo-zone. If later price rebounds from them, pair may reverse, or at least, start new correction. 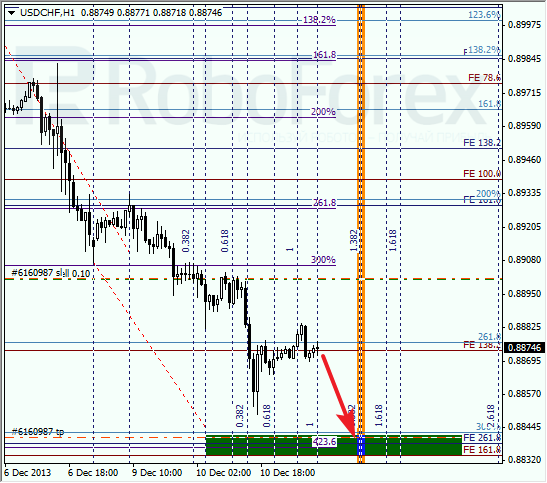 Yesterday Franc reached new minimum and right now is being corrected. Most likely, price will reach target levels in nearest future. Expecting this to happen, I’m keeping my sell order. 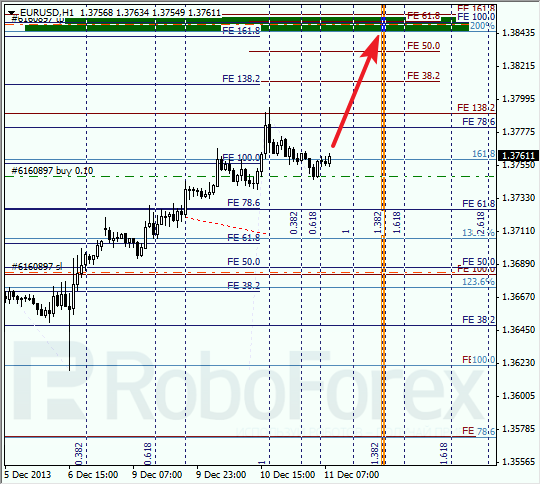 At H1 chart, price is finishing local correction. Most likely, Franc may reach lower target levels inside temporary fibo-zone, which is very close.